What is ‘Gmail sync error’ on Android? “Gmail sync error” on Android is an error that may occur when the user’s Gmail account is not synced with the other Android devices. How can you fix ‘Gmail sync error’ on Android? “Gmail sync error android” may be caused by the internet connection going down or your WiFi is not receiving enough WiFi Signal. To verify the cause, see the guides below. Make sure your Airplane mode is turned off. Make sure you’re receiving a strong WiFi signal. If you’re in a private network, ask permission to the network admin to have an access to the internet. Use other devices to check if the WiFi in your Home network has an internet connection. If not, call your internet service provider (ISP). If yes, see the solution below. “Gmail sync error android” could also be caused by the Gmail application itself. The application might be not responding. Try to restart it, see instructions below. Look for Gmail app and then tap it. Then, force the Gmail app to close. Run the Gmail app again. “Gmail sync error android” may also occur if the Gmail application is not updated. 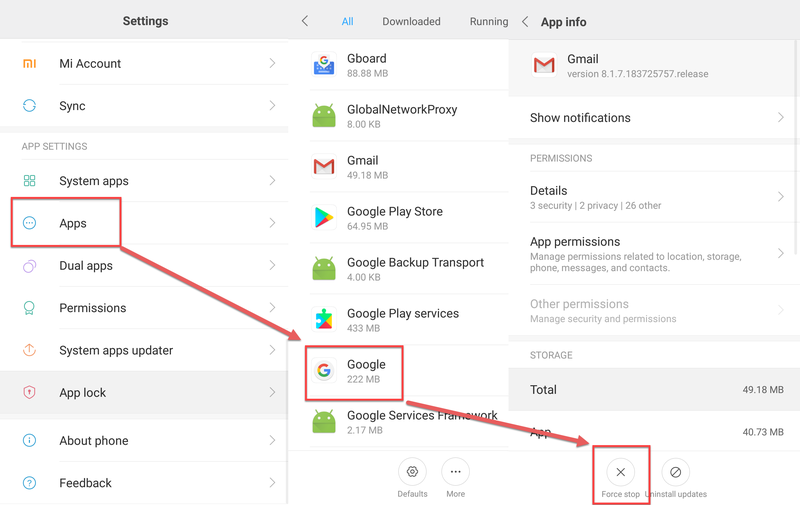 Check your Google Play Store and update your Gmail Application. “Gmail sync error android” may also be due to a disabled Sync Gmail in the Gmail Application settings. See the instructions below to check and enable it. In the upper left side, tap Menu . Then, set Day of mail sync to 30 days.